With more than 50 years of residential and commercial insulation installation experience, USI Cardalls provides a full range of products, including spray foam, batt and blown-in insulation for your attic, basement, crawl space and more. The Salt Lake City area knows us for our strong reputation in helping home and business owners reduce their energy bills with outstanding insulation systems and service. 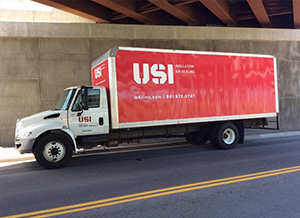 USI’s national reach, rigorous training and high customer service standards ensure that your insulation is installed correctly and efficiently. You receive responsive, professional service and quality installation from our experienced, well-trained installation team. Learn more. Save money and energy with USI Cardalls. Our selection of insulation products provides you with several money-saving options, including spray foam insulation, which is the most advanced energy-efficient insulation available. You’ll receive a complete explanation of the insulation options that work best in the Salt Lake City area and a high level of service on the day of installation.